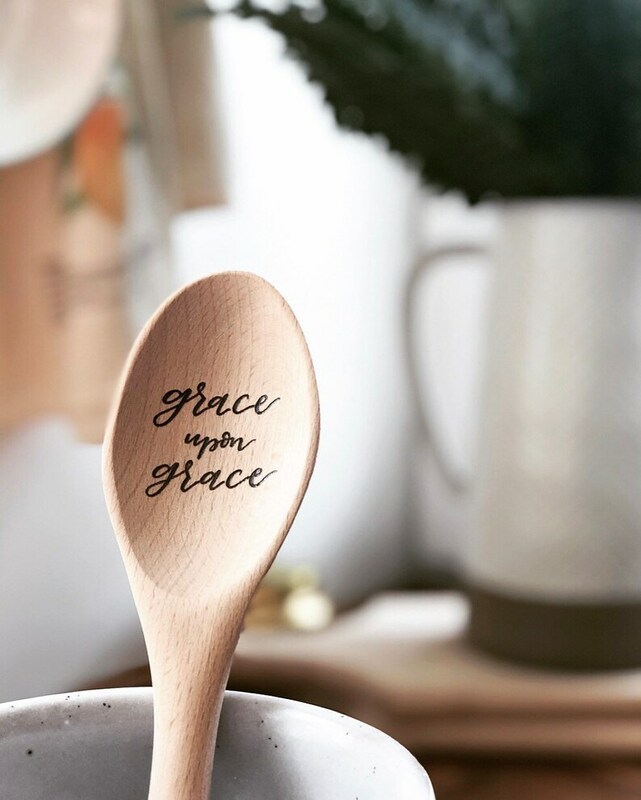 This kitchen utensil is illustrated, lettered and wood burned by hand. It is meant to be used and loved, and a functional piece of art for your home. It's made of solid, quality beech wood and measures 12" long. - They are strong yet soft, so they can easily scrape food off the bottom of your pans while not scratching them. - They have a high heat tolerance and won't melt or get scalding hot if left leaning on a pan. - They have natural germ-killing properties! - They are a natural, renewable resource. Yay happy environment! - They feel good to hold, and become better with age and use as it customizes to your specific grip. - They're beautiful to look at and are perfect decor pieces in a utensil holder on your countertop. - Hand wash your utensil before use. After washing, dry with a towel instead of letting it air dry. - Every month (if used often) take mineral or coconut oil and a dry towel/washcloth and wipe the oil over your entire utensil. Place on a drying rack and let the oil soak into the wood completely. - Do not let your utensil soak in water, as this will crack the wood over time. - Wood discoloration from food and water over time is normal for any wood utensil. By following the above steps, this will tremendously help maintain the look of your Blonde Moose utensil. Enjoy! My third purchase. Always so happy with her work. Absolutely beautiful and will make a darling detail piece to our kitchen! Bought 2 ... for salt and coffee! Love my spoons! Received in no time and great quality!!! Thank you! Amazing quality! I will definitely be shopping for more! If you wish to cancel an order, this must be done so within 24 hours of the original purchase date. If you placed a custom or personalized order and wish to cancel it after the allotted 24 hour window, I cannot guarantee cancellation. If I have already begun work on your custom order, it cannot be cancelled. Returns on custom orders will not be accepted, unless their was a mistake on my end. Returns and exchanges are gladly accepted within 14 days of delivery. Items that may not be returned or exchanged are personalized or custom orders, unless they arrived damaged or defective. All orders are shipped via USPS First-Class Mail. Shipping upgrades are available. Upon shipment, you will receive an email letting you know your order has shipped, along with a tracking number. You will also receive an email once your order has been delivered. Can I cook with my wood burned kitchen utensil? Absolutely! Wood burning in no way affects the food safe properties of your utensil.